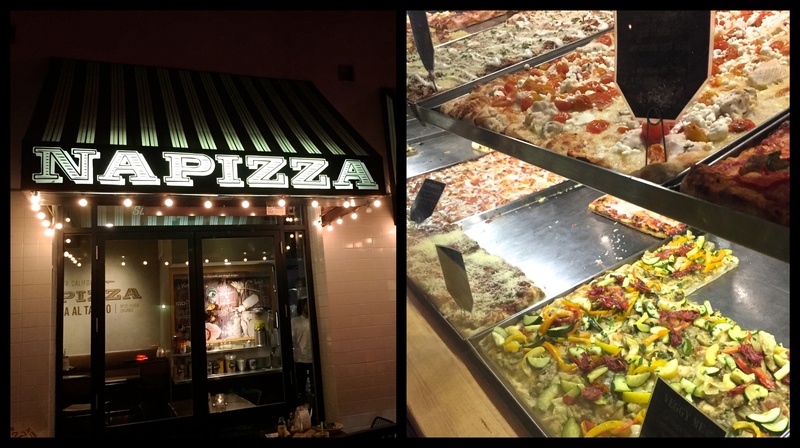 For a by-the-slice concept, Napizza is a pretty swanky spot holding down a coveted corner in Little Italy, the land of shiny new restaurants. 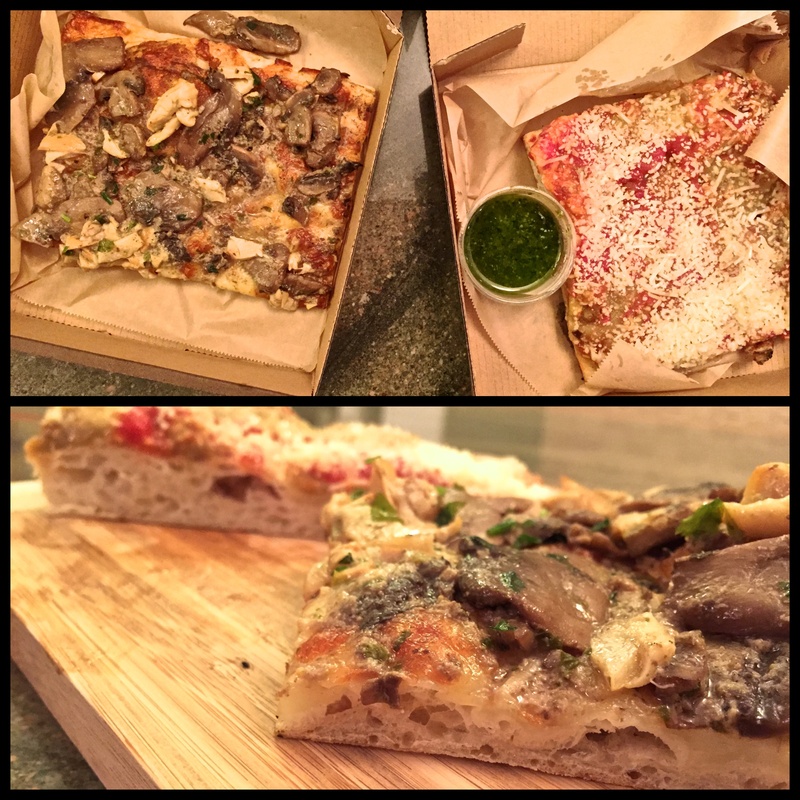 With more than a handful of pizza options nearby, Napizza has established itself as a “healthy and organic” option, a modern trend that tends to litters walls and websites with a fatiguing number of buzzwords. With marketing so fiercely tuned in, it is best to hit mute and let the flavors speak for themselves. Behind the display window, each pizza offering sings its own siren song, drawing me in until I focus my hunger on the Truffle Porcini and Parmigiana, two slices destined for a set of Italian pairings. Built on a focaccia bread base, the medium-style pizza has a crisp olive oil crust that helps maintain the structure, allowing for weighty toppings such the mess of eggplant and chunky tomato on the slice of Parmigiana. A smothering of pesto with each bite offers a glitter of garlic spice and tangy green brightness. 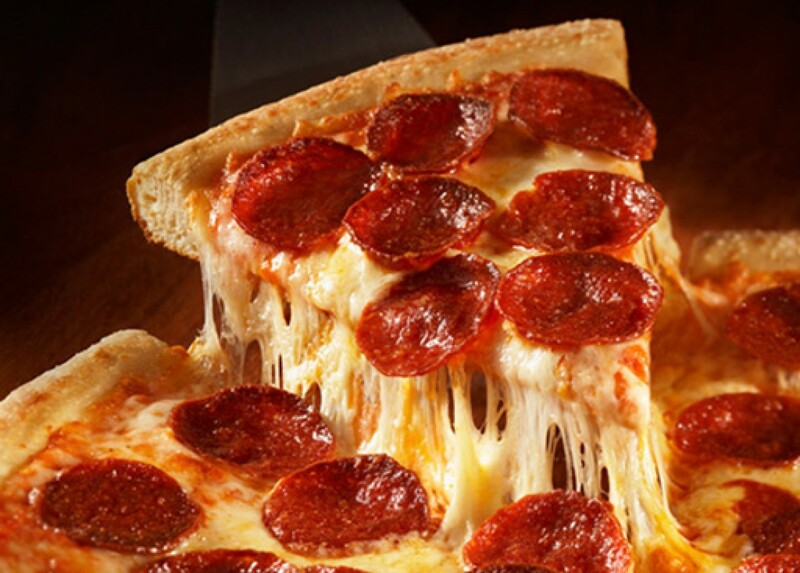 Meanwhile, the personality of the pizza stays true to the name, singing of simple Italian cuisine, hearty, earthy and satisfyingly cheesy. Azienda Agricola COS, Cerasuolo di Vittoria Classico DOCG, Sicilia, 2011 is produced from the first and only DOCG of Sicily. The ruby red wine is made predominately from the black grape Nero d’Avola, Frappato making up a 30-50% minority. In this bottling, the dominant varietal expresses itself with finely grained tannins found in the wine while the latter varietal can be seen through red berry aromas of dehydrated raspberry and cranberry, further emphasized by the savory pizza elements of eggplant and pesto. The refreshing acidity is quite appealing with such a rich style of pizza while a soft note of wood provides a plush finish as does a lingering note of tobacco and black tea. The pairing isn’t perfectly aligned, each element playing its own instrument and not quite harmonizing. 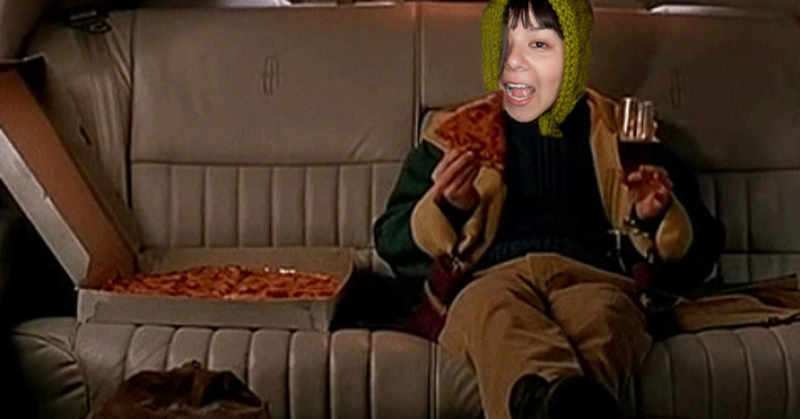 It comes together like an awkward first date, whereas the next one is like a long-awaited, romantic night out. The Truffle Porcini slice hits the palate with a roar of mushrooms, herbs and truffle notes. Such an aggressive umami overload puts our first wine in an aromatic stranglehold, demanding a larger player. 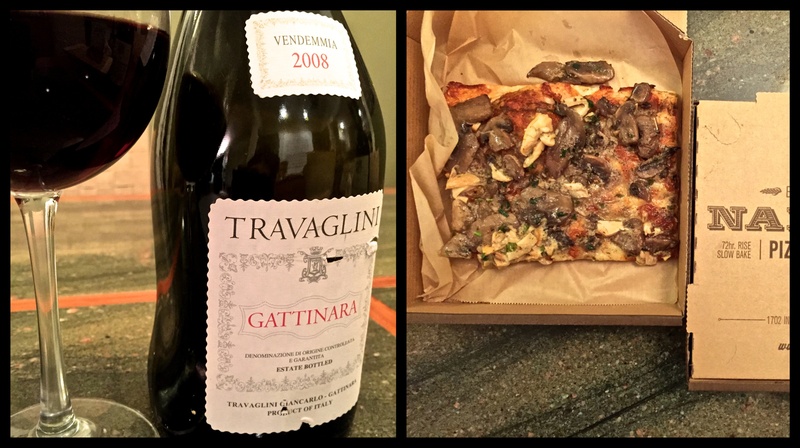 Travaglini, Gattinara DOCG, Piedmonte, 2008 is a playful companion to this slice, swinging at its oily center with all the elevated acidity that accompanies the varietal, Nebbiolo. Known locally as Spanna, Nebbiolo makes up 100% of the wine even though a minimum of 90% composition is required for Gattinara DOCG. 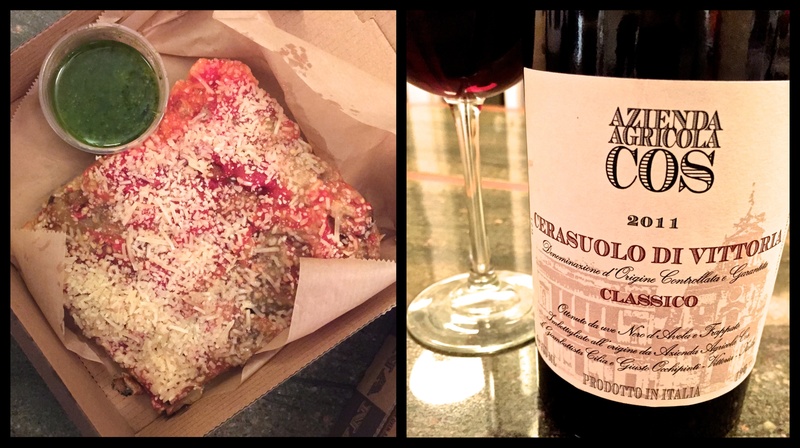 In the last pizza pairing, Nebbiolo was featured through Palmina’s New World interpretation whereas in Gattinara, Nebbiolo is in its homeland of Piedmont, where Barolo and Barbaresco represent the pinnacle of its expression. Even though Gattinara is a more approachable style, it still comes dressed up with purple flowers, violets and roses as well as fresh leather, orange peel and baked cherry pie. The tart red fruits are tangy with personality and a quick burst of tannins add fireworks to this hot little love fest. 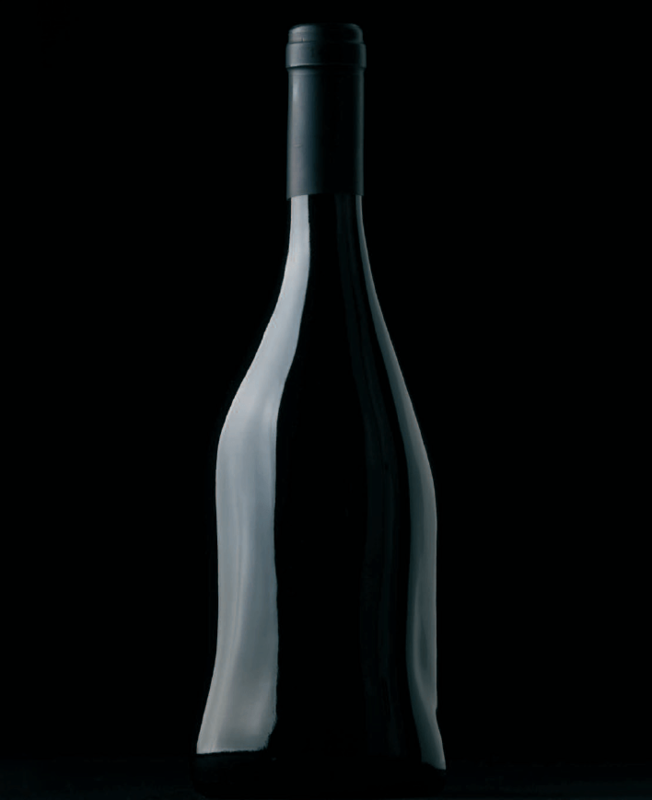 postscript: the uniquely-shaped bottle was designed in 1958 to diminish the need for decanting by catching sediment naturally. For three years, I walked around thinking the misshapen bottle recovered from a vineyard fire as lore would have it. Oh, how humbling fact checking can be. Also, embarrassing.